Laura Pulido traces the roots of third world radicalism in Southern California during the 1960s and 1970s in this accessible, wonderfully illustrated comparative study. Focusing on the Black Panther Party, El Centro de Acción Social y Autonomo (CASA), and East Wind, a Japanese American collective, she explores how these African American, Chicana/o, and Japanese American groups sought to realize their ideas about race and class, gender relations, and multiracial alliances. 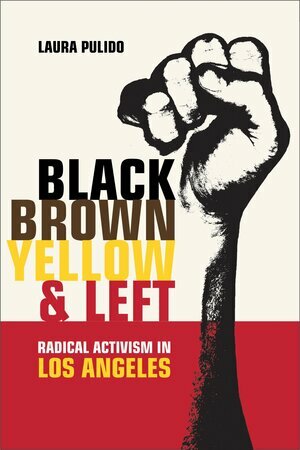 Based on thorough research as well as extensive interviews, Black, Brown, Yellow, and Left explores the differences and similarities between these organizations, the strengths and weaknesses of the third world left as a whole, and the ways that differential racialization led to distinct forms of radical politics. Pulido provides a masterly, nuanced analysis of complex political events, organizations, and experiences. She gives special prominence to multiracial activism and includes an engaging account of where the activists are today, together with a consideration of the implications for contemporary social justice organizing. Laura Pulido is Associate Professor in the Department of Geography and Program in American Studies and Ethnicity at the University of Southern California. She is the author of Environmentalism and Economic Justice: Two Chicano Struggles in the Southwest (1996).